' One Sheet ' - Dassault Dornier Alpha Jet is a light attack jet design as a PSS glider. 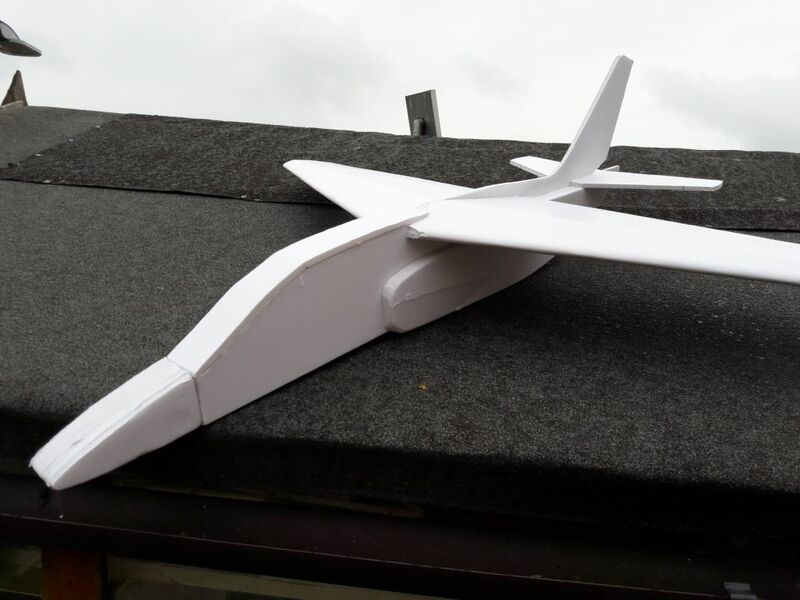 No not a paper towel advert but a sheet of Depron foam turned into a glider. The Dassault - Dornier Alpha Jet is a light attack jet and advanced trainer aircraft co-manufactured by Dassault Aviation of France and Dornier Flugzeugwerke of Germany. Specifically to perform trainer and light attack roles and missions. 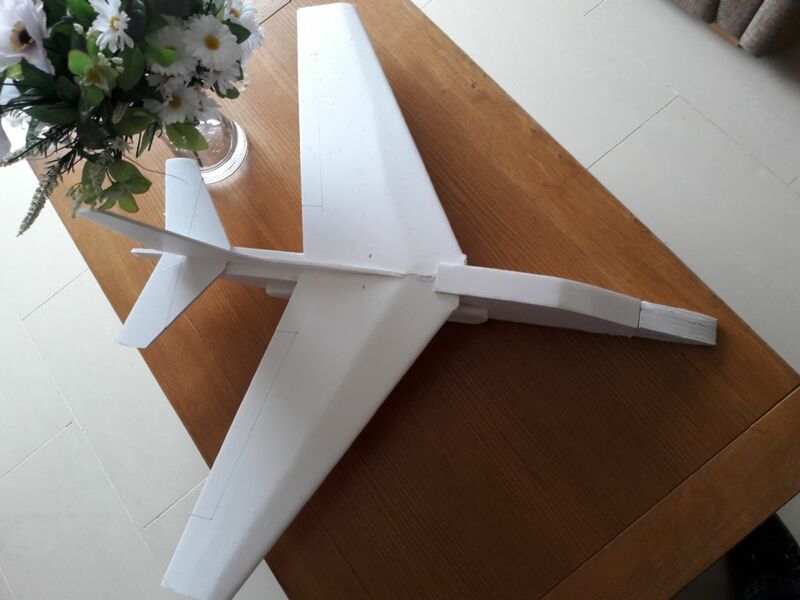 Above - Alpha Jet side fuselage 30" long, engine pod in grey. 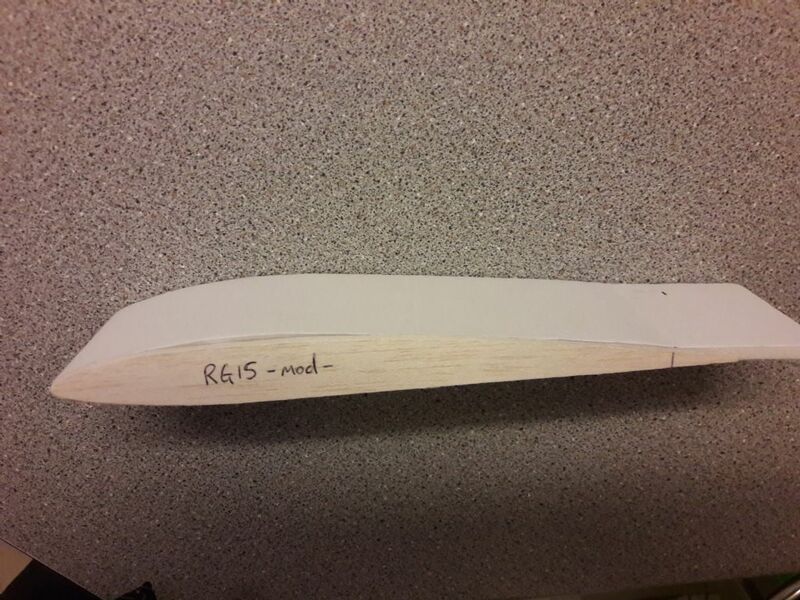 Below pattern of the wing fold at 16.5" width so wing span is 33". 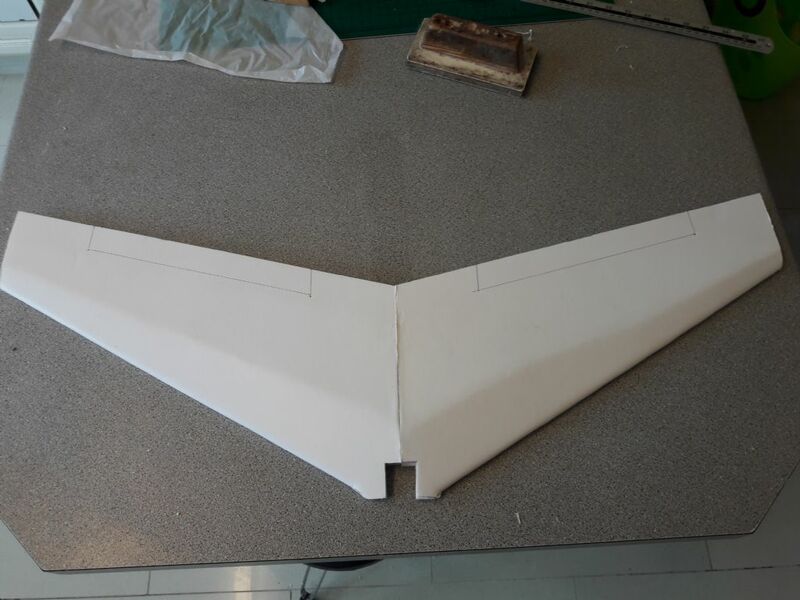 Below Pattern layout includes :- two wing folds - fuselage side in a fold - fin - tail plane and nose cone lamination's. 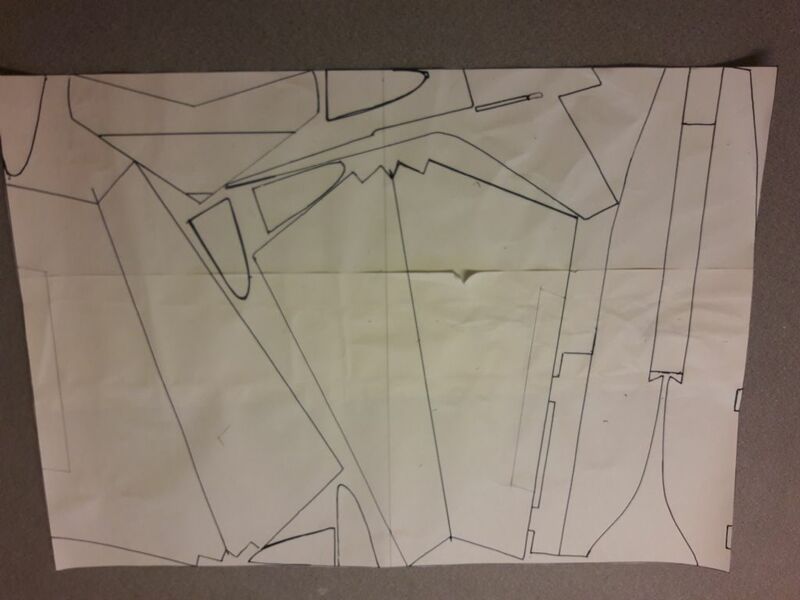 Pattern is on a sheet of paper to plan the layout, before committing to foam. Did somebody say 'Juan Sheet'!? That's Plenty... Juan Sheet, does plenty Phil. I've been practicing on folding depron wings. Used just a 2" wide piece of depron foam. I'm quite pleased with the result. It's took more than one fold but you don't need to see the others. I could place a spar in the section. Huh, when I joked that you were going to make one from cardboard, I didn't think you were actually going to do it! 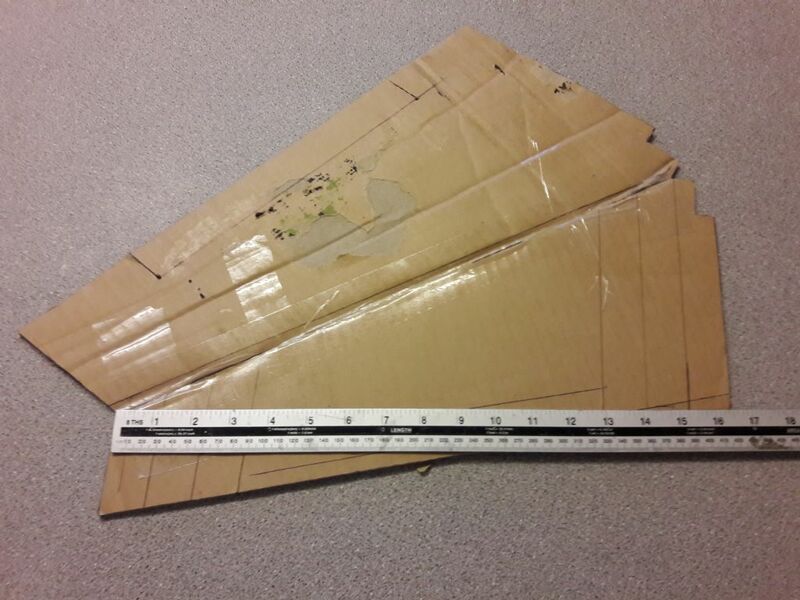 Only cardboard patterns Andy, depron cut out and glued together. 8 oz in weight, with where the wing is along the body it's almost in balance. 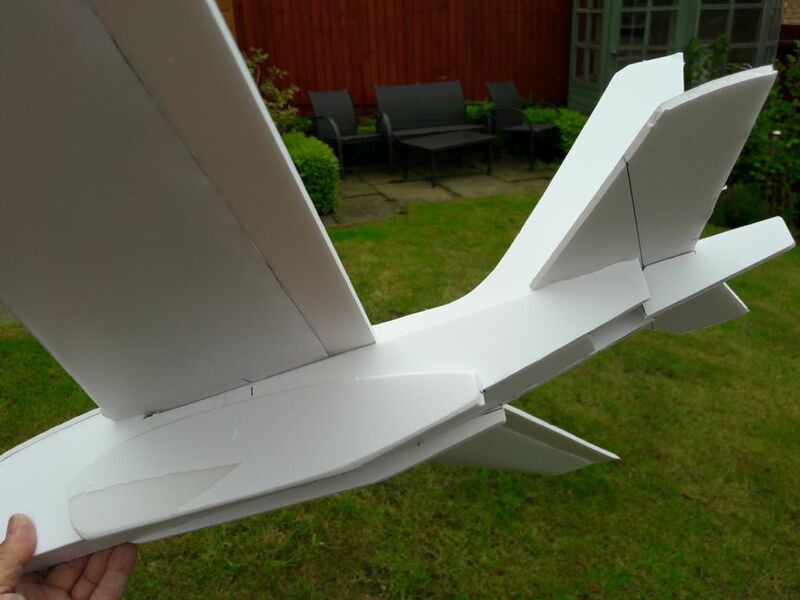 Just needs rounding off and tidy up to put some curves in and needs a clear canopy. Not quite made from one sheet of depron. 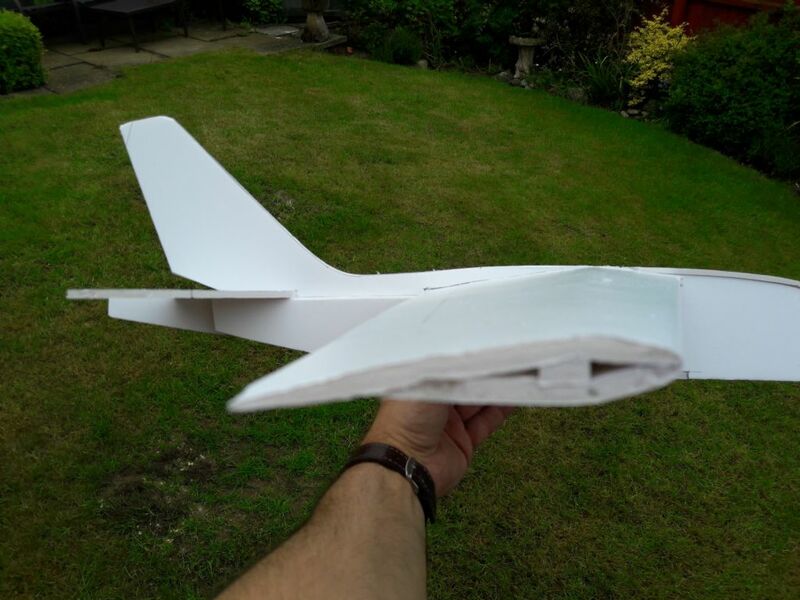 I needed spars 2 x 30 mm tapering to 10 mm, material for top curve on fuselage canopy area at 35 mm wide and 30 mm underneath on the rear fuselage. 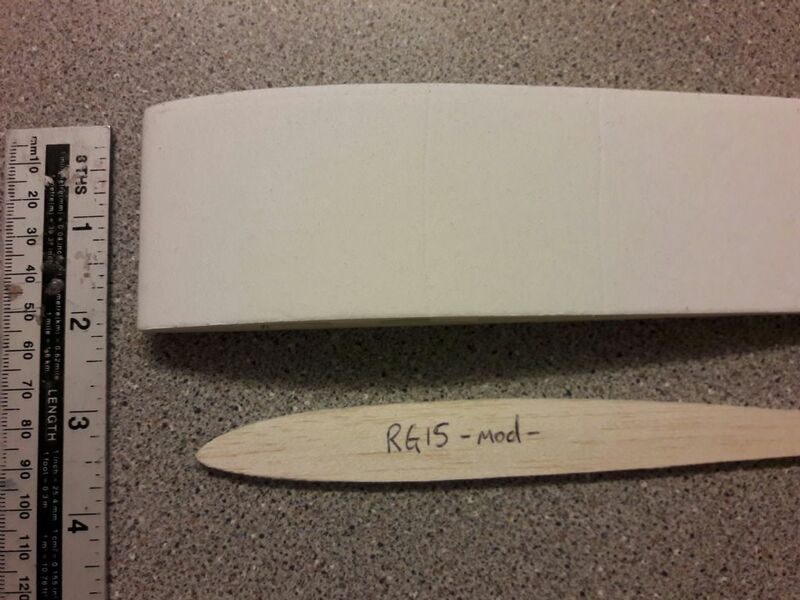 The engine pods are from 10 mm wide depron. 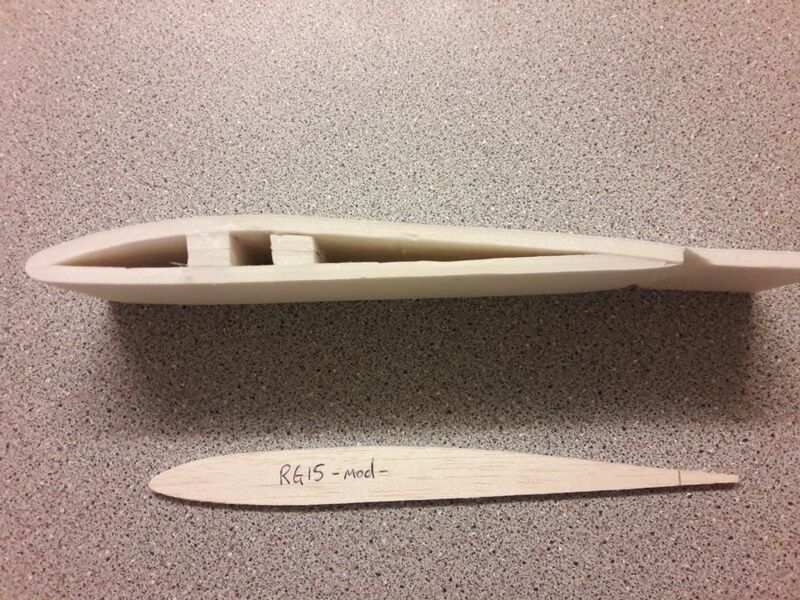 It's been fun to make, however I've not got time to fit the radio or decoration for the weekend PSSA event. 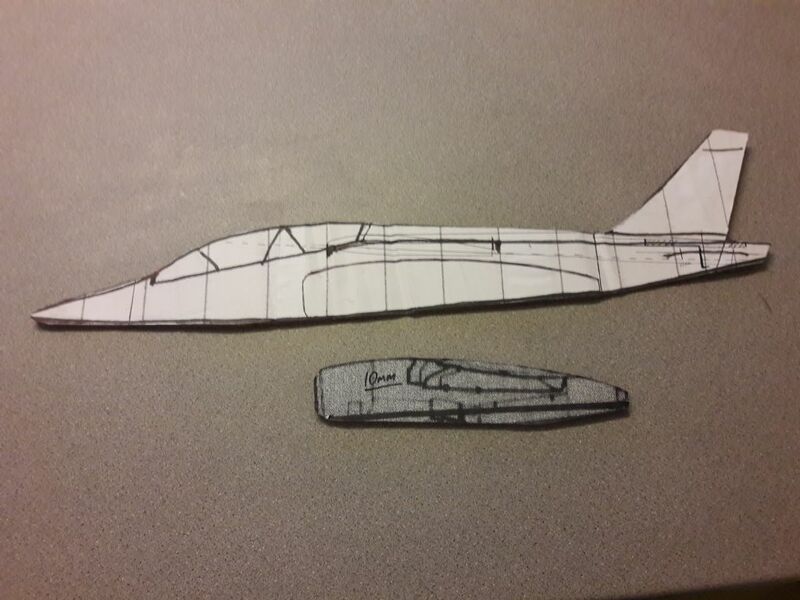 All Forum Topics > PSS Build Blogs > ' One Sheet ' - Dassault Dornier Alpha Jet is a light attack jet design as a PSS glider.